ST KILDA, VICTORIA, AUSTRALIA, July 19, 2018 /EINPresswire.com/ -- Homestyle Aged Care Services1 is implementing the CCP Solution3 across ten residential care homes in the greater Melbourne metropolitan and Geelong areas. 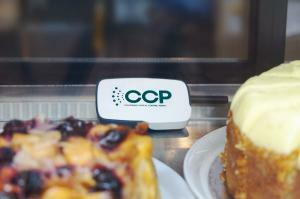 CCP continues to build a foothold in the growing Aged Care sector. According to the Australian Institute of Health and Welfare, there were 902 organisations providing residential aged care through 2,672 services at 30 June 2017. In addition, there were 1,523 organisations funded to provide home support over 2016/17 through 3,308 services. Substantial food service operations exist to support residential aged care facilities and home support services. CCP estimates the food service temperature monitoring market for the Aged Care sector in Australia to be over 50,000 monitoring points. CCP Technologies Limited2 – a listed public company on the Australian Securities Exchange – offers a critical control point management system in Australia and North America, and has an emerging presence in Singapore. Critical control points are the points in a supply chain where a failure of standard operating procedure has potential to cause serious harm to people – and to a business’ reputation and bottom line. Standard critical control points include temperature, energy, environment (e.g. air and water quality, pH, chemicals, noise, acoustics and gases) and movement. The company has recently announced its hand-held temperature probes, power monitoring Smart Tags, shipment monitoring and various other solutions to support businesses with food service operations.